There I was feeling lonely that I've finished reading Anne Rice's Prince Lestat... who knows when the next one will come... and here comes this book with an unassuming cover... She Dies at the End. So, she's psychic. OK... I started reading and whoa! This book is EPIC. I fell in love and couldn't put the book down. So Happy! I've read many vampire books but nothing ever came close to the The Vampire Chronicles, which I absolutely love. Except this book. 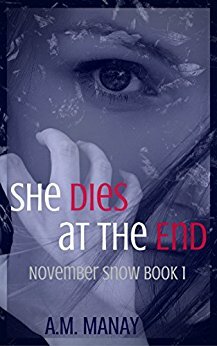 The characters, the writing, the world, the dialogue -- nothing is forced or exaggerated and you'll get swept into the life of November Snow whether you like it or not. It's the best fantasy/supernatural book I've read from an Indie Writer. Tight... Sharp... Good choice of words. I forgot that I'm an Editor, and that made it all the more enjoyable. November Snow is a psychic and she has always felt isolated by her powers. The carnival which is her home, was far from ideal. She has visions of how she's going to die, and of people and places she knows nothing about. Until one night, 3 beings visited her... and it was like coming home. Vampires, Fairies, Werewolves - all the characters are well developed and addictive. You'll fall in love with them, and miss them when you reach the end of the story. I can't wait for book 2. The author is an amazing writer. Fantasy lovers, a must read. If you've read the author's book She Dies at the End, this prequel is like salt to its tequila. I love this author. Such an exceptional writer. In a way, I think I liked it better than Book 1 mainly because it's the story of ancients. 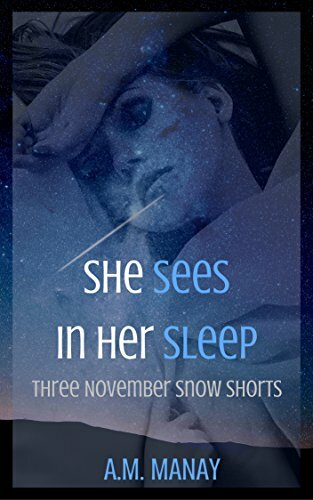 She Sees in her Sleep are back stories of some of the characters in the November Snow Series. I don't know if this eases the pain of waiting for Book 2 or if it just makes you itch for it more. Followers of Anne Rice and Deborah Harkness' books should read A.M. Manay. You won't be disappointed. The much awaited sequel to She Dies at the End finally arrives. If I didn't read the first book, I'd have given it 5 stars. A.M. Manay is a fantastic writer but She Dies at the End is a little hard to top. November Snow is now a vampire, and she wakes up to find herself in an unusual predicament. She's isolated from her vampire family, thanks to Luka, who wants her all to himself as he continues his devilish plans. I liked the new characters introduced: a possible love interest for November Snow, a new community of intermingled species - and I liked how the author gave a new perspective of Luka. As the story progresses, its only natural that the crescendo needs building up again, and I look forward to Book 3. Sequels are so difficult to write, especially one after a story as epic as She Dies at the End. Much like Twilight, although Meyer redeemed herself in the final book. When it comes to supernatural / fantasy, it's still one of the best series I've read. Highly satisfying. 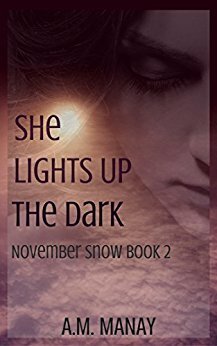 The November Snow Series is a must read if you're a lover of supernatural fiction.